My father-in-law wanted to know if I wanted to ride along with them to make the deliveries—I love riding along so I jumped in the truck between him and Darren. The boys were rushing around trying to make sure they had everything they needed for the trip. My father-in-law asked me: Kari, what are we going to forget? Something important, I say. Something critical, he says. Oh well, we pile in the truck and are off. We get several miles down the road and my father-in-law says, The map. We forgot the map. Darren asks his dad if he knows where we’re going and how to get there? I hope so, says my father-in-law and we just keep on going. After lots of guessing and a couple of turnarounds, we made every delivery. 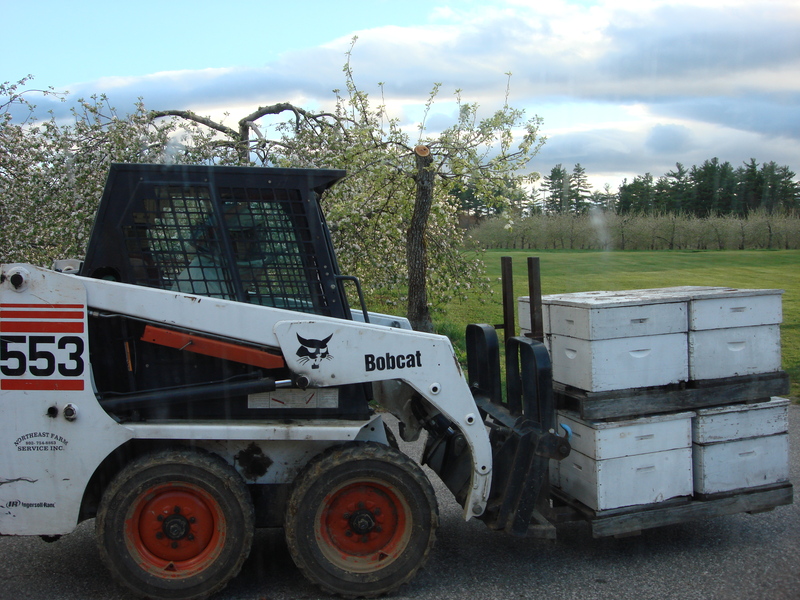 Here’s Darren zipping around in the Bobcat moving bee hives into an apple orchard. 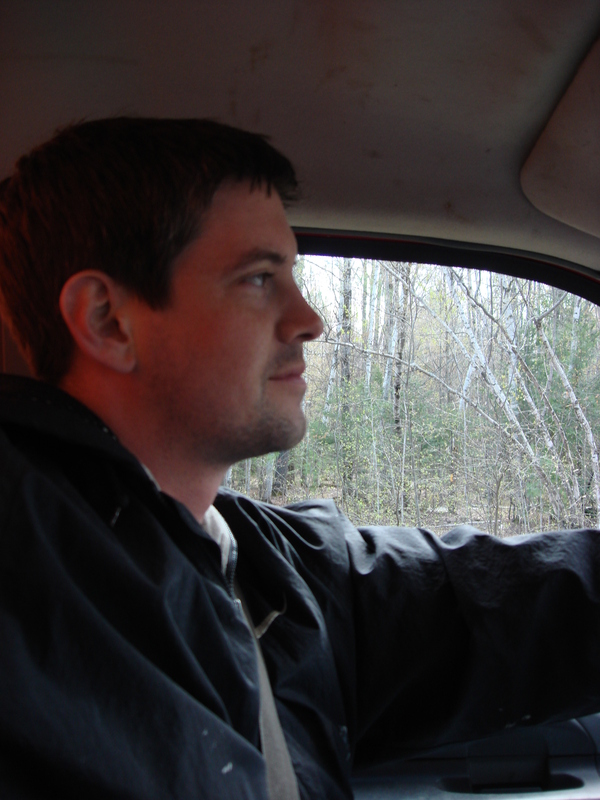 When the boys were at each delivery stop, I sat in the truck and ate up a couple more pages of Walden Pond. I didn’t want to risk getting stung, you know, and it was really cold out too! 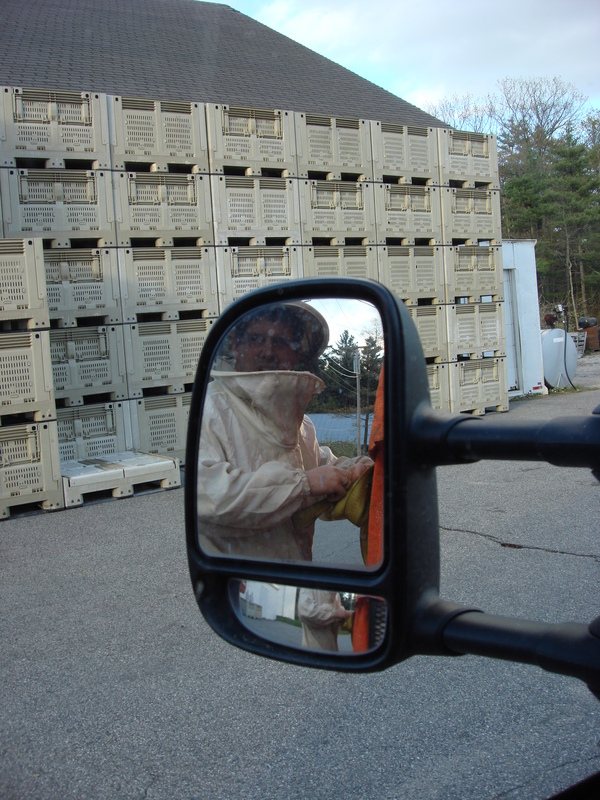 I took pictures from inside the truck to avoid getting stung–see Darren in the mirror? Here’s a cranberry bog with berries from last year taking a dip. Darren’s dad helps pollinate the cranberries used by Ocean Spray so if you’ve ever tasted Ocean Spray then maybe just maybe you’ve tasted some of his bee’s hard work. After all the work was done, Darren and I took off for a little date in Freeport. We walked around the outdoor shops and wandered through the flagship L.L. Bean store drooling over rich people camping gear. 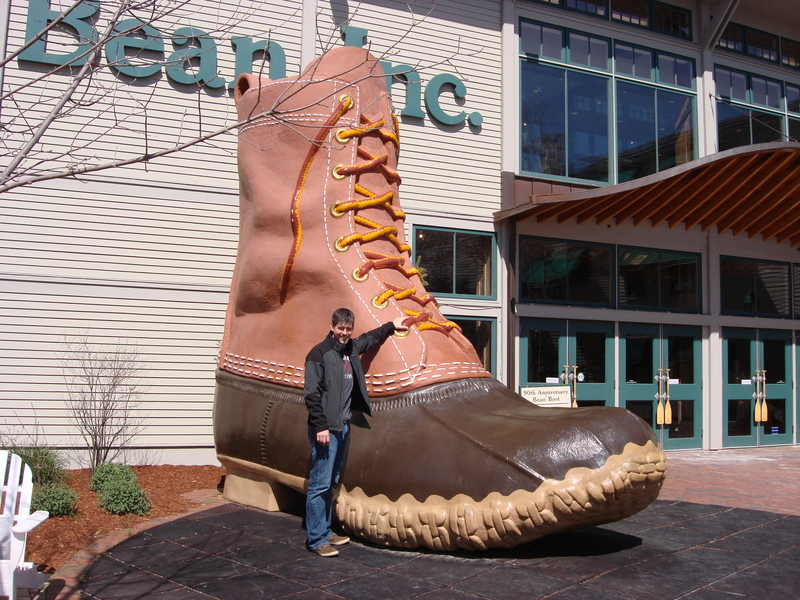 Here’s Darren with the giant Bean Boot (he has a real pair of Bean Boots that look just like this…um, only smaller). We are busy. The bees are busy. Life is just as busy as the busy little bees. This entry was posted in Home + Garden and tagged Family, Life, Nature, New England. Bookmark the permalink. What a little adventure you had! Pollination is so important for crops and I believe there are issues around the scarcity of the little creatures. I loved hearing about the bees bbbbbzzzzz ness. Thank you. 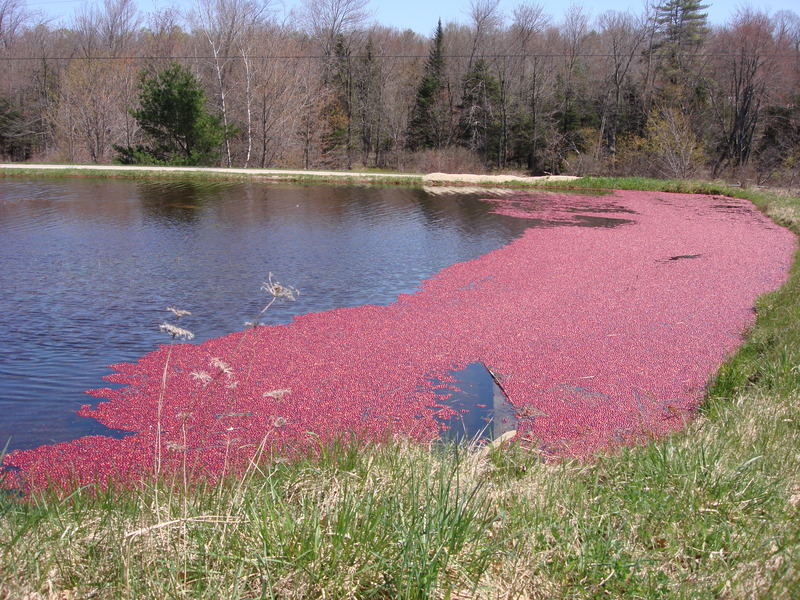 I’ve also never actually seen a up close and personal cranberry bog. So cool! I would have stayed in the truck too. In Vegas, I had the Africanized bees swarm and kind of attack my sliding glass door once. Several got in the tracking on the bottom while I waited for the pest control man to get there and save me. I’ve been a little timid with bees since (but thankfully Idaho doesn’t seem to have the killer bees–just nice bees; now I worry about wasps). Loving your post – great photos – love the big boot! Have a Great Day! 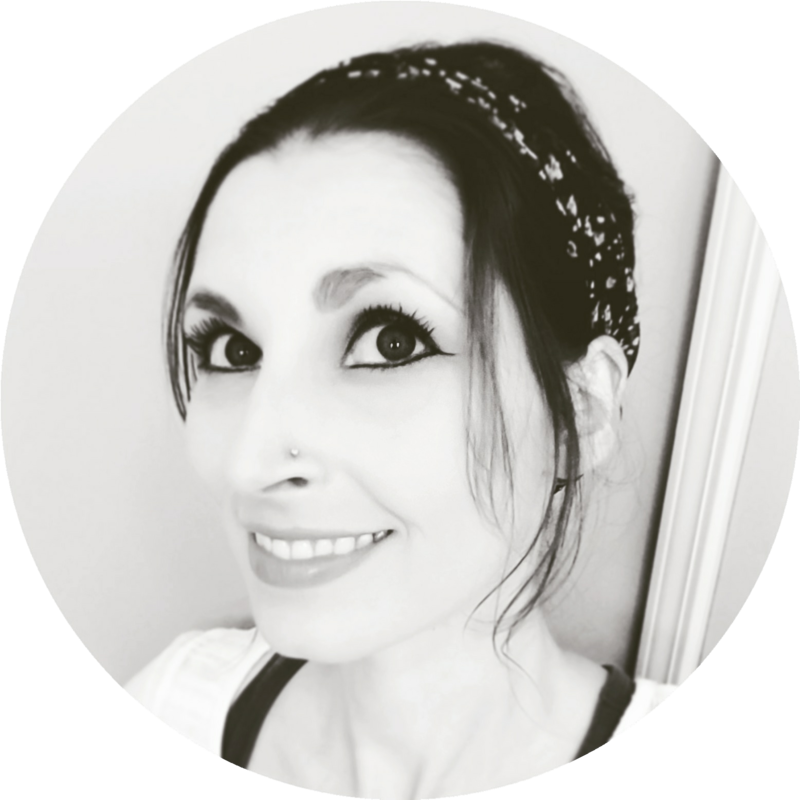 Love to read about your buzzzzzy contented life! God is so very good. Hope your day is a great one! That’s interesting that they take the bees to Florida for the winter. I’ve never thought about that… like why would I? I wonder where my Pacific Northwest Bees vacation? But now that I am thinking about it, I did notice recently, that some bee stands were missing their boxes. I’ll be keeping an eye out to see when they get back now. Fun story, Kari… and as a side note: The look on Darren’s face, while driving the truck, says it all… I see bemusement, patience and love. 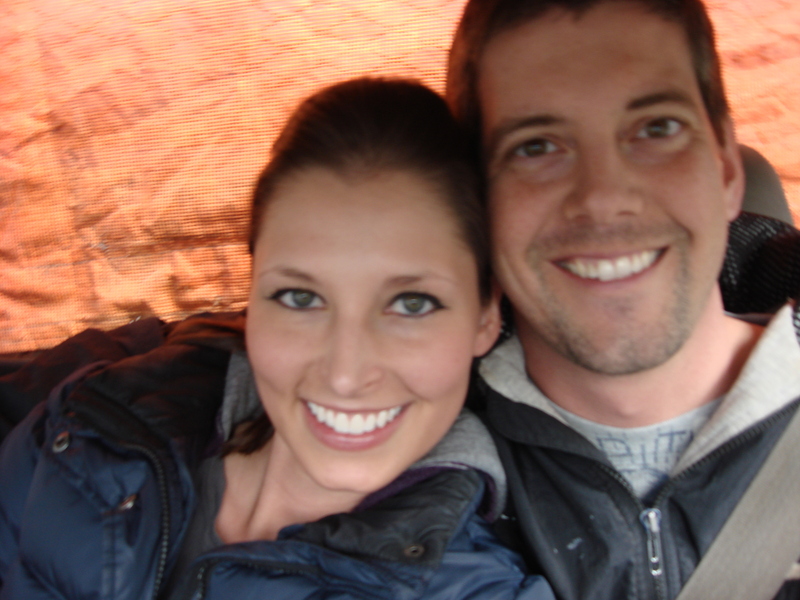 I could see what he was thinking… “Great, she’s starting another blog… and I’m in it.” He’s a lucky guy and he knows it. Love this post! Of course I think I write that for each of my comments. Maine is an incredible state and having lived there for three years, I too, would ride anywhere I could in Maine. Sounds like a great day and I love the photos of you and your Sweetie. 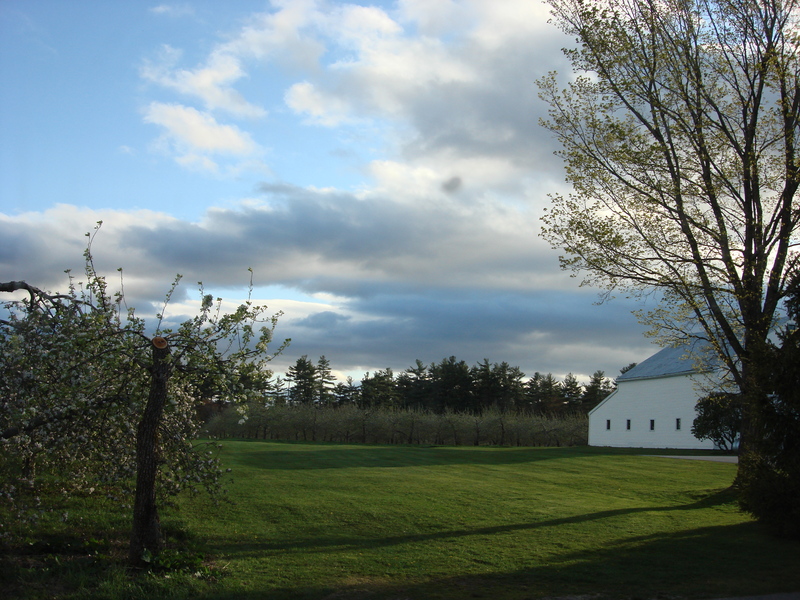 Thanks for a taste of Maine and also ‘the rest of the story’ about the bees. Thanks for always leaving such encouraging comments. Maine really is so beautiful! Someday I will visit Maine. I love the shot of the cranberry bog. Thanks for the interesting (and informative!) post. I had no idea bees lived such a life of luxury! That’s a neat process. Yay for those busy bees! You and Darren look beautiful together. You make a great couple.